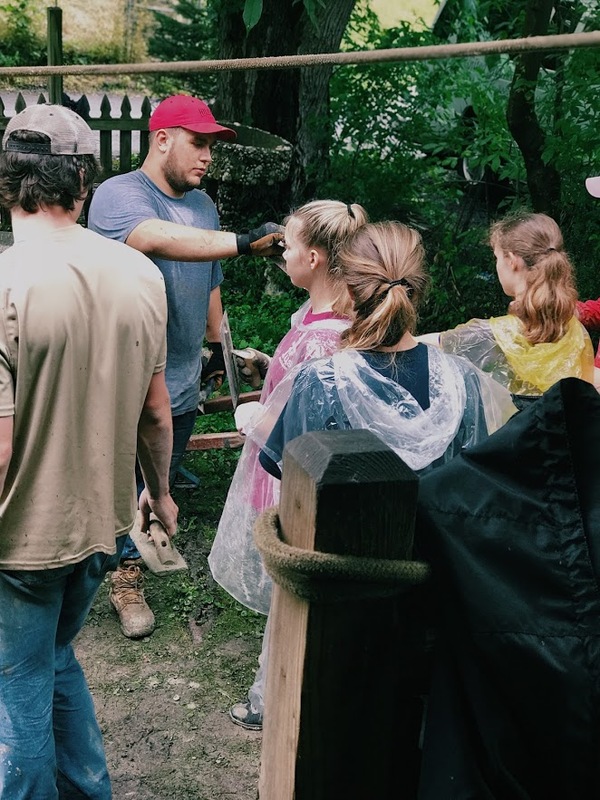 Each year Grace puts together an intergenerational team of missioners to help during the week of Easter Vacation/Spring Break in areas that have suffered natural disasters. We have helped in New Orleans after Hurricane Katrina, in Tuscaloosa, Alabama after the tornadoes, and in New Jersey after Hurricane Sandy, and more. We welcome older youth and adults of all ages on these mission trips. Spring Break Mission Team leader is Debbie Cali – contact her or the church office for more information about these opportunities. For more information about mission trips in general, contact MaryLu Hertz. 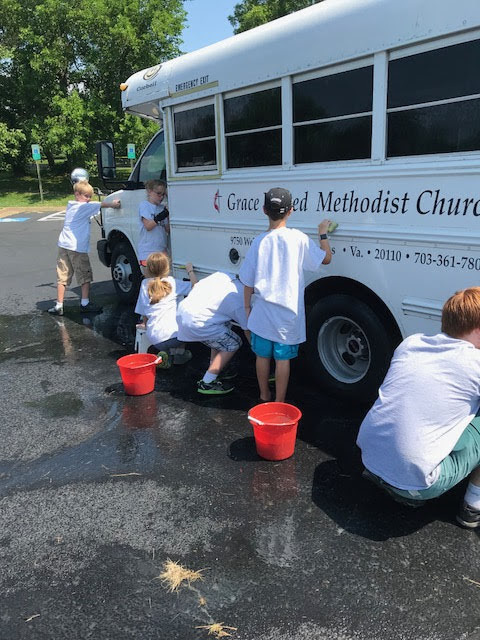 Our Senior High students, 9th-12th grades, and our Junior High students, 7th-8th grades, participate in week-long mission experiences each summer. Dates and locations vary from year to year for the Senior High group, and the Junior High group participates in the Jeremiah Project in the Shenandoah Valley area. 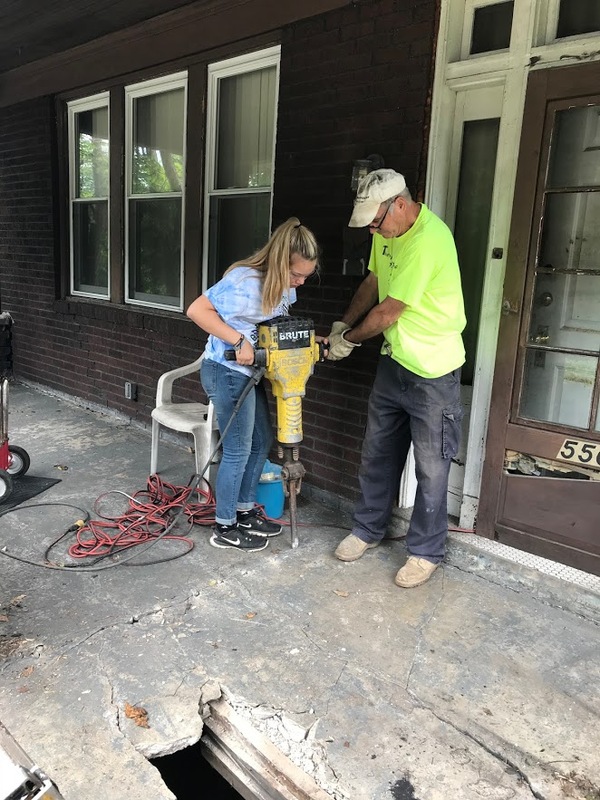 The youth and adult leaders who participate in these project spend the week performing home repair tasks such as porch construction, house painting, wheelchair ramp construction, yard work, and other jobs. A strong emphasis is also placed on interacting with the persons for whom we work. This is designed to help us see that all people have many types of needs, including the visible, physical needs. For more information, contact Debbie Cali. Mission Possible is a hands-on, week long mission team experience for older elementary students who have just finished 3rd, 4th or 5th grades. Children learn about the many needs of those less fortunate here in our own community and surrounding areas. They have a great time getting their hands dirty to make a difference! For more information, contact Darlene Runaldue.